‘That’s rubbish’: Karl pushes PM. 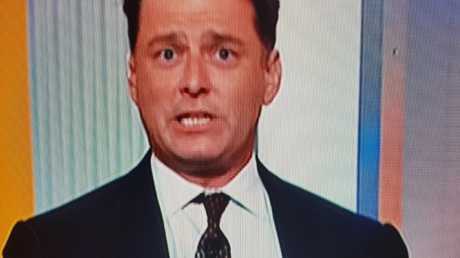 PRIME Minister Scott Morrison has announced a surprise policy reversal and endured a belligerent grilling from Karl Stefanovic during an eventful interview on Today. 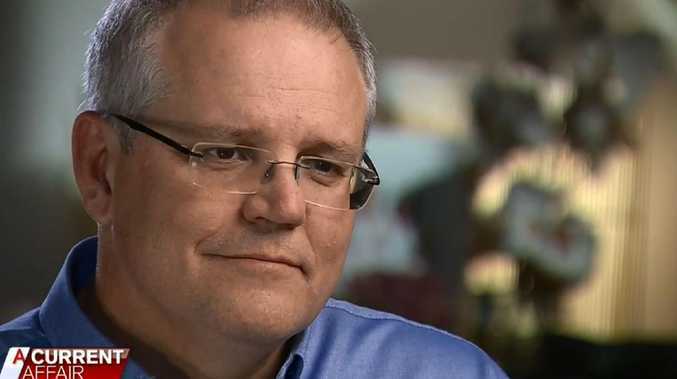 Mr Morrison fronted up for back-to-back appearances on Seven and Nine this morning, and could easily have become complacent after coasting through a gentle interview on Sunrise. Then, a couple of minutes later, Karl started on him. Mr Morrison made a surprise announcement that the Coalition would reverse its plan to increase the retirement age to 70. It will now remain at 67. "You are the boss but you have little or no control over the party. You couldn't save the Prime Minister and then you became the Prime Minister. Your party is an absolute dog's breakfast," the Today host said. "I know that. The curtain has come down on that. A new generation of Liberal leadership is in place," Mr Morrison responded. "Australians want us to be less focused on what we care about and how we feel. We have got to get over that very quickly. I put the ministry in place in record time and we were on and about the business of government straight away." "Grab the Selleys and plug the leaks and you might have a chance. There is a leak every day," Karl shot back. "If you can't control the leaks you might as well be captain of the Titanic." As he kept pressing, Mr Morrison eventually felt compelled to push back, declaring the suggestion he wasn't in control of the party "rubbish". Once that initial confrontation was out of the way, Today presented Mr Morrison questions from its viewers, one of whom asked the Prime Minister about his government's plans to raise the retirement age to 70. Mr Morrison took the chance to announce an unexpected reversal of the government's pension policy. "Look I was going to say this next week but I may as well say it here Karl. I've already consulted my colleagues on that, and next week Cabinet will be ratifying a decision to reverse taking the retirement age to 70. It will remain at 67, which is what Labor increased it to," Mr Morrison said. "I don't think we need that measure any longer when it comes to raising the pension age." The decision to raise the retirement age was announced in the Abbott government's first budget, when Joe Hockey was treasurer. It was supposed to save approximately $3.6 billion over its first four years. But that would not have been for a while. The proposal was to start lifting the pension age in 2025. It would have risen by six months every two years, eventually reaching 70 in 2035. The change was never legislated. Another viewer asked Mr Morrison why he doesn't send his children to public school. "Well, I went to public schools. I went to Clovelley Primary School and then to Sydney Boys High School," the PM replied. "My kids were going to a public school but I wanted them to go to a Christian school. Faith is important to us as a family. That's a choice we made as a family. "I don't have any issues with the quality of public education but I wanted my kids to go to a Christian school. 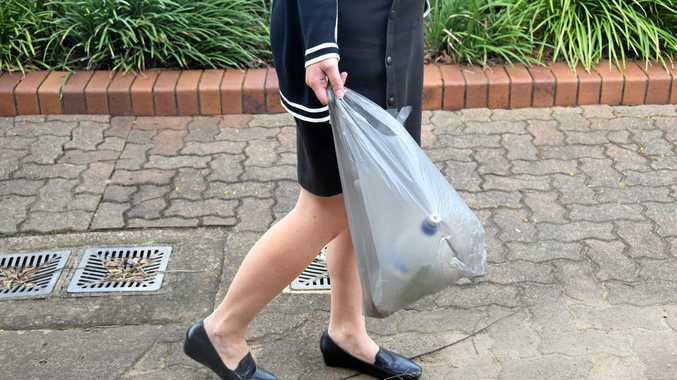 That's a choice, if every Australian would like to make, they should be able to make." Earlier, Sunrise also confronted Mr Morrison with questions from ordinary Australians. He was asked to address the "ever-widening gap" between wages and the cost of living. "I am the Prime Minister for getting power prices down," he said., flagging plans to set a standard price, ensure companies "are not taking advantage", and drive more investment in "clean power generation". "We are going to get on with it and get prices down. "In terms of getting wages, you've got to do that by growing the economy and making sure it is strong. You can't get a wage rise with a business that is not making a profit or an economy that is weak." Meanwhile, the government is facing awkward questions on another front today as an inquiry into the Peter Dutton au pair saga begins. The inquiry, run by the Senate's legal affairs committee, will examine whether Mr Dutton misused his ministerial powers by intervening in two immigration cases. AFL boss Gillon McLachlan will appear via video link to explain his involvement in lobbying Mr Dutton to overturn an au pair's visa rejection. Alexandra Deuwel was detained at Adelaide airport in October 2015 after admitting she intended to work in breach of her tourist visa for grazier Callum MacLachlan, the AFL boss' second cousin. Leaked documents show Mr MacLachlan contacted Gillon McLachlan, who directed the AFL's head of government relations and former Liberal staffer Jude Donnelly to forward an email from his cousin to Mr Dutton's chief-of-staff. Ms Donnelly is set to give evidence at the same time as her boss. Home Affairs secretary Michael Pezzullo and Australian Border Force Commissioner Michael Outram are listed to appear before the committee in the morning. Mr Dutton is also facing questions over a second au pair he saved from deportation, an Italian woman who was apparently planning to work for a former Queensland police colleague. He has consistently denied any wrongdoing in both cases, saying he had no personal link to anyone involved.